United Kingdom, 2018- Wealth & Finance magazine have announced the winners of the 2018 Finance Awards. United Kingdom, 2018- Wealth & Finance magazine have announced the winners of the 2018 FinTech Awards. The 2018 FinTech Awards, now entering its second year, aims to recognise the companies and individuals who have gone above and beyond to creating an easier, more intelligent and more secure financial world for both businesses and consumers across the world. With global investments into financial technology hitting an all-time high in 2017, we felt it incumbent to promote the importance of the financial world being kept at the cutting edge of advancements within the constantly evolving technological landscape. United Kingdom, 2017– Wealth & Finance magazine have announced the winners of the 2017 Finance Awards. The finance industry is a key driver of the global economy. From asset managers through to bankers, investment advisors to software developers, the 2017 Finance Awards are dedicated to supporting and recognising these talented and dedicated firms, individuals and departments. Now in its 4th year, the Finance awards are a prestigious program, and winning one is no mean feat. United Kingdom, 2017– Wealth & Finance magazine have announced the winners of the 2017 Business Awards. United Kingdom, 2017- Wealth & Finance magazine have announced the winners of the Women in Wealth Awards 2017. Showcasing the innovative contribution of women in the financial industry whom play a huge role in creating new possibilities for equal representation in a male dominated market, the Women in Wealth Awards 2017 were designed to recognise and celebrate the achievements of female financial professionals. United Kingdom, May 2017– Wealth & Finance magazine have announced the winners of the 2017 Alternative Investment Awards. Previously an undervalued industry, the alternative investment has grown immensely over the past few years. Behind the ever-growing success are the leading lights whose innovation, dedication and inventive ways has seen them accomplish some remarkable results. To learn more about our deserving award winners and to gain insight into the working practices of the “best of the best”, please visit the Wealth & Finance website (http://www.wealthandfinance-intl.com) where you can access the winners supplement. United Kingdom, March 2017– Wealth & Finance magazine have announced the winners of the 2017 Brazilian Business Awards. Brazil is a country known for its energy and passion. The business industry is one that is unpredictable, but filled with people who are determined to achieve great success. In Brazil, the business owners are a prime example of this, as they are incredibly hardworking and who would do everything they can to make their business successful and help to support their economy. Therefore, the 2017 Brazilian Business Awards have been created to celebrate the achievements made by those across all business sectors and in all sizes, to give them the recognition that they so truly deserve. United Kingdom, 2017- Wealth & Finance magazine have announced the winners of the 2017 Legal Awards. The legal industry is a quick paced and exhilarating market, with competition increasing and the effect of technological and economic developments providing a host of challenges for multiple legal practices over the past 12 months. As an outcome of these challenges, we are introducing the 2017 Legal Awards to showcase the very best of the legal industry. These awards cast a light on the dedication, passion and hard work of those within the legal profession whose knowledge and attentiveness has enriched the broader legal market and supported their clients. United Kingdom, 2017– Wealth & Finance magazine have announced the winners of the 2017 Banking ExcellenceAwards. The banking system forms the backbone of our society: from supporting those looking to start a business to those seeking to provide for their retirement, these institutions have made our financial industry what it is today. As such the 2017 Banking Excellence Awards were established to ensure that the banks, and the individuals behind them, are recognised for their hard work, dedication and commitment. 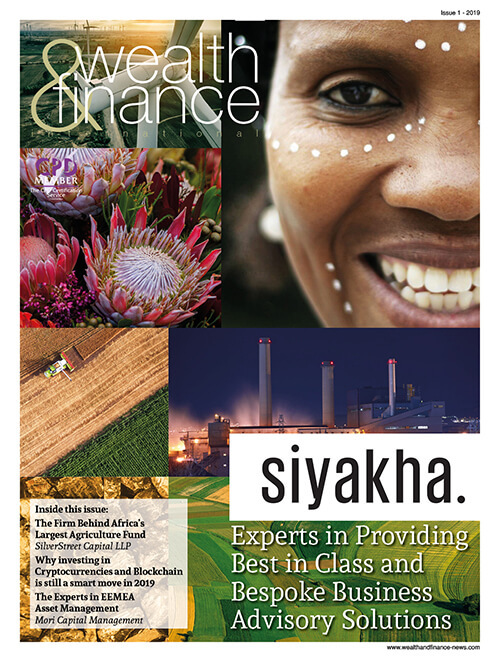 Wealth & Finance International is a monthly publication dedicated to delivering high quality informative and up-to-the minute global business content. It is published by AI Global Media Ltd, a publishing house that has reinvigorated corporate finance news and reporting. United Kingdom, December 2016- Wealth & Finance magazine have announced the winners of the 2016 Finance Awards. The finance industry is a vital part of keeping the global economy growing. From asset managers through to bankers, investment advisors to software developers, the 2016 Finance Awards are dedicated to supporting and recognising these talented and dedicated firms, individuals and departments. United Kingdom, 2016– Wealth & Finance magazine have announced the winners of the 2016 Business Awards. As such the 2016 Wealth & Finance Business Awards have been set up to bring these truly special firms, their work and their people to the wider audience they deserve. United Kingdom, November 2016- Wealth & Finance magazine have announced the winners of the 2016 Women in Wealth Awards. Women play a huge role in the financial landscape: from asset management to banking and financial governance, the industry is full of extraordinary women working against the odds to succeed in a male dominated market. As such we have created the 2016 Women in Wealth Awards, which showcase the very best women from across the financial environment. United Kingdom, October 2016– Wealth & Finance magazine have announced the winners of the 2016 Fund Management Awards. The health of the international fund industry has long been an indicator of global economic recovery, and as the world slowly improves following the recent economic crisis, this sector is increasingly having to innovate and adapt in order to grow and thrive. The 2016 Fund Awards is looking to reward and recognise the forward thinking and intuitive professionals from around the world who have worked tirelessly over the last twelve months to provide their investors with strong returns and reduced exposure to volatility. 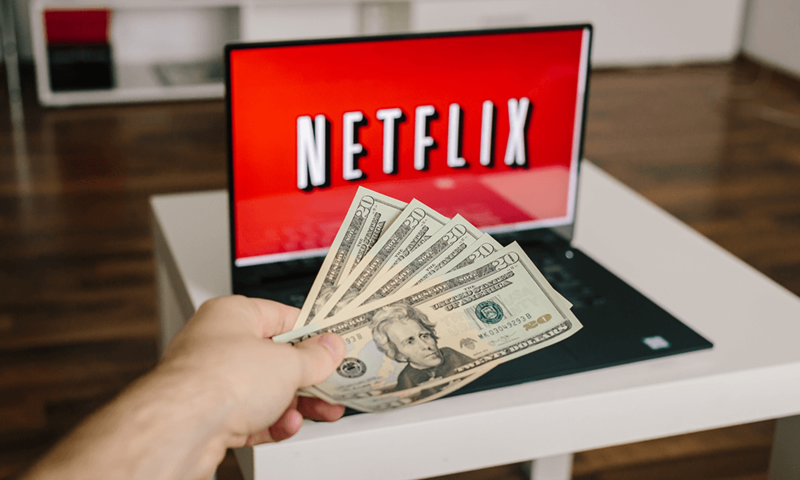 LOS GATOS, CA – September 14, 2016 –Netflix, Inc. (NASDAQ: NFLX) today announced it will post its thirdquarter 2016 financial results and business outlook on its investor relations website at http://ir.netflix.com on Monday, October 17, 2016, at approximately 1:05 p.m. Pacific Time. At that time the company will issue a brief advisory release via newswire containing a link to the third-quarter 2016 financial results and letter to shareholders on its website. Netflix Chief Executive Officer Reed Hastings, Chief Financial Officer David Wells and Chief Content Officer Ted Sarandos will host a live video discussion about the Company’s financial results and business outlook at 2:00 p.m. Pacific Time. The discussion will be moderated by Ben Swinburne, Morgan Stanley, and Scott Devitt, Stifel, with questions submitted via email. Questions from investors should be submitted as well in advance as possible for inclusion to [email protected]organstanley.com [email protected]. The live broadcast and archive of the discussion can be accessed on the Netflix Investor Relations YouTube channel at youtube.com/netflixir. United Kingdom, 2016- Wealth & Finance magazine have announced the winners of the 2016 Wealth & Money Management Awards. Finance management can be a daunting and complicated task, and therefore many individuals, business people and families look to advisors to support and guide them through the complex process of managing their money. From ensuring all relevant fees and taxes are paid to supporting clients through monumental life changes, those working in the wealth management industry often become much more than just advisors, developing strong relationships with clients and supporting them through thick and thin. The 2016 Wealth & Money Management Awards are dedicated to rewarding and recognising the hard work and dedication of everyone working in this vast industry, from including asset managers, financial planners, HNWI services and specialist banking providers. United Kingdom, July 2016– Wealth & Finance magazine have announced the winners of the 2016 Alternative Investment Awards.